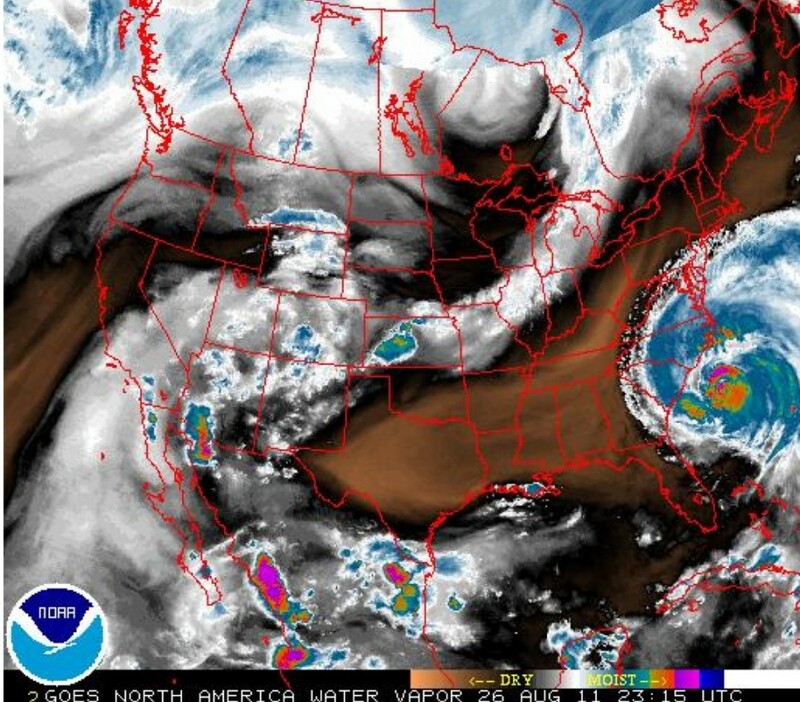 August 26, 2011 image of 'Irene.' Click on the image to be taken to the National Weather Service. 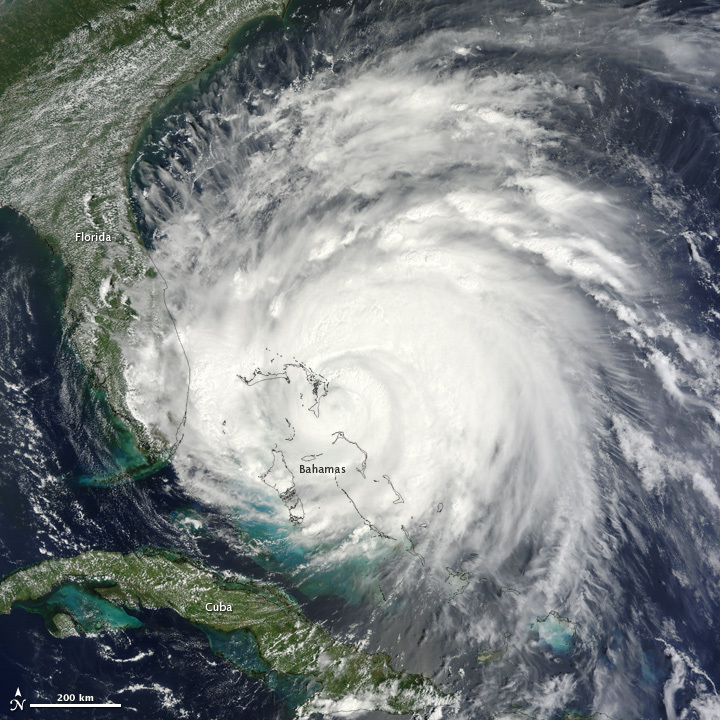 Six years to the week of Hurricane Katrina, “Irene has a long reach,” reports NASA’s Earth Observatory. “The storm is large, spanning nearly 1,000 kilometers (600 miles) from east to west in this image (below). It could intensify slightly in the next day or two. The storm’s currently forecasted track takes it over the Outer Banks and along the U.S. East Coast before going ashore over New England.” Click here to be taken to NASA, here for NOAA’s National Hurricane Center. UPDATE: Click here for the Washington Post’s live hurricane tracker.